A poster to advertise for three visual arts interns. The poster must be pinned to the wall with a push pin in the center of the spiral. The viewer has to turn the poster to read the information. The last word in the spiral is ‘Center’. 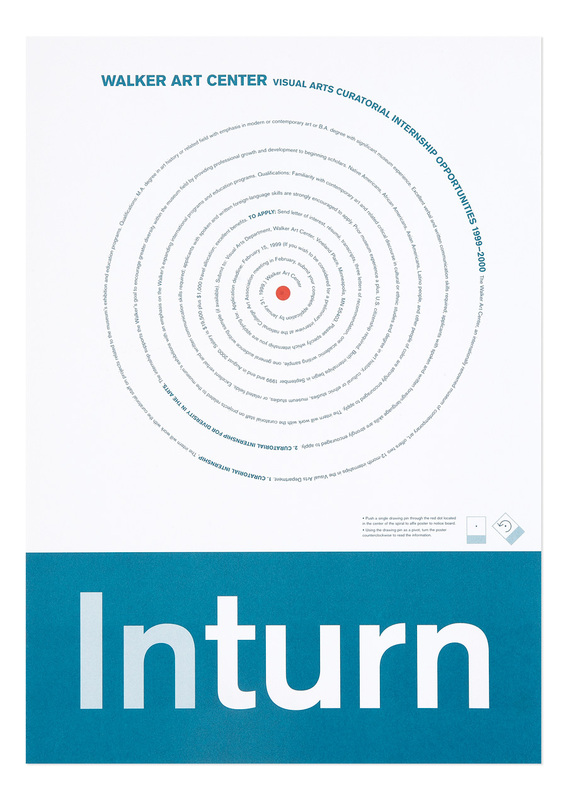 A red dot was hand applied to the center of the spiral on each poster as a locating point for the push pin.